Modern Calligraphy Night at Port Plums! We are heading back to Newburyport, MA for a night of shopping, olive oil & balsamic vinegar tasting and calligraphy at Port Plums! Whether you’re a stationery nerd, DIY Bride-to-be, or a just crafty individual, in this workshop you’ll be learning an introduction to modern calligraphy with a pointed dip pen and ink. We will cover all the basics and get you ready to add those special lettered details to your snail mail, wedding paper goods, home decor and more! 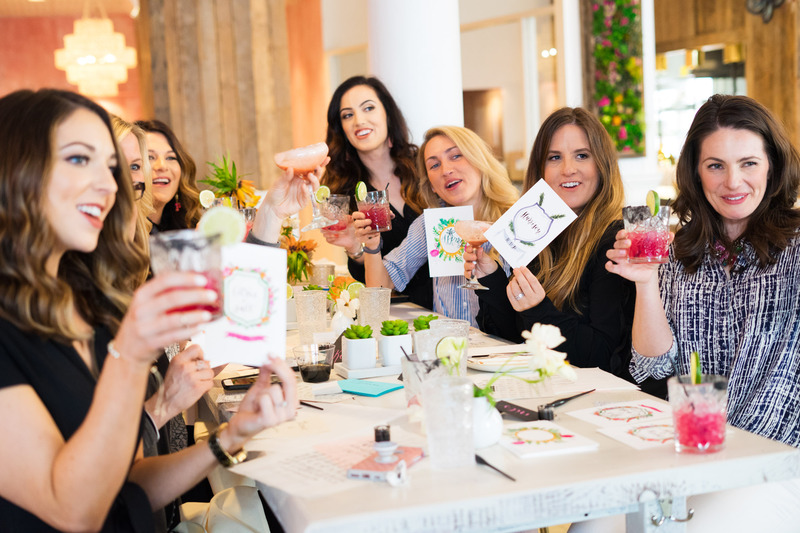 The perfect crafty night out to celebrate Mother’s Day and Cinco de Mayo! Class begins with 30 minutes of olive oil & balsamic vinegar tasting, then leads into 80 minutes of calligraphy instruction and demonstration, which includes our beginner’s calligraphy kit (2 nibs, black ink, straight pen holder and 2 alphabet guides), all Paper Source writing materials, wine and complimentary snackables! Everything is yours to keep at the end of the night! *Class will start promptly at 5:30pm. Come early to grab your seat and shop! Enjoy 10% off the shop for one time use that night or within 30 days to all participants!